Early adopters looking to take advantage of the new Wi-Fi 6 wireless standard, will be pleased to know that Netgear has unveiled its new next-generation router in the form of the Wi-Fi 6 offering users Tri-band connectivity, 2.5 Gbps wired connections, and five gigabit Ethernet, at a price of $599 for the AX12 supporting 12 simultaneous streams or the AX8 supporting eight simultaneous streams the $399. – Wi-Fi 6 increases throughput by up to 25 percent due to a higher quadrature amplitude modulation (QAM). Essentially, more data is transmitted per data packet. – Wi-Fi 6 intelligently schedules the transmission of data packets—this managed approach results in fewer transmission clashes, improved resource utilization, and an impressive increase in your WiFi network efficiency. – Wi-Fi 6 uses BSS coloring, which guides the decision to transmit or defer, thereby decreasing channel contention problems. The result is increased throughput per access point. – Concurrent dual-band operation makes Wi-Fi 6 ideal for all home connectivity requirements, from IoT sensor transmissions to high-end video streaming. – Wi-Fi 6 supports all current WiFi devices and is backwards compatible with 802.11a/b/g/n/ac WiFi devices. 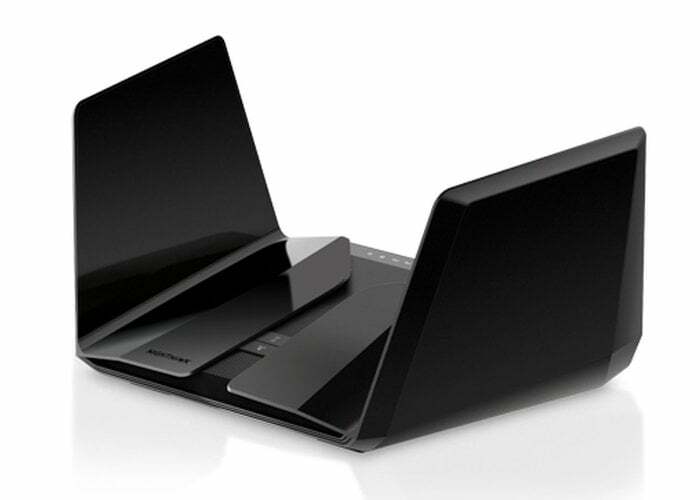 For more details on the new Wi-Fi 6 Tri-band router jump over to the official Netgear website by following the link below.